The US Dollar turned lower against its Canadian counterpart as expected after putting in a Bearish Engulfing candlestick pattern. Near-term support is in the 1.2328-81area, marked by the 38.2%Fibonacci retracement and the January 27 low, with a break below that on a daily closing basis exposing the 50% level at 1.2181. Alternatively, reversal above trend line support-turned-resistance at 1.2494 opens the door for a challenge of the 23.6% Fib expansion at 1.2646. The US Dollar continues to oscillate in a range above the 1.23 figure against its Canadian counterpart having begun a downward reversal as expected. Near-term support is in the 1.2328-81area, marked by the 38.2%Fibonacci retracement and the January 27 low, with a break below that on a daily closing basis exposing the 50% level at 1.2181. Alternatively, a turn above trend line resistance at 1.2564 opens the door for a challenge of the 23.6% Fib expansion at 1.2646. The US Dollar has moved to challenge January’s swing high against its Canadian counterpart near the 1.28 figure. Near-term resistance is in the 1.2733-1.2801 area, marked by the 23.6% Fibonacci expansion and the January 30 high, with a break above that on a daily closing basis exposing the 38.2% level at 1.2968. Alternatively, a turn below range top resistance-turned-support at 1.2635 clears the way for a test of the February 3 low at 1.2354. Price & Time: Canadian "Potential"
Only weakness below 1.0760 would turn us negative again on the euro. 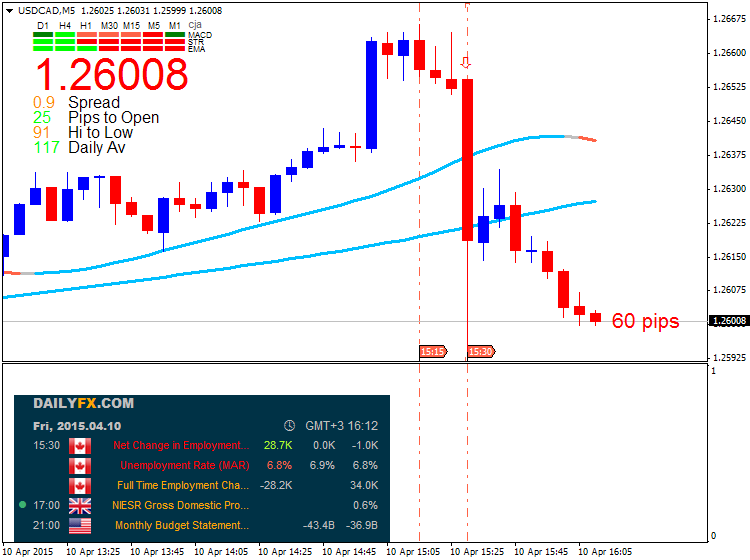 EUR/USD Strategy: Like buying the euro on dips while 1.0760 holds. S&P 500 Strategy: Like the long side while over 2040. 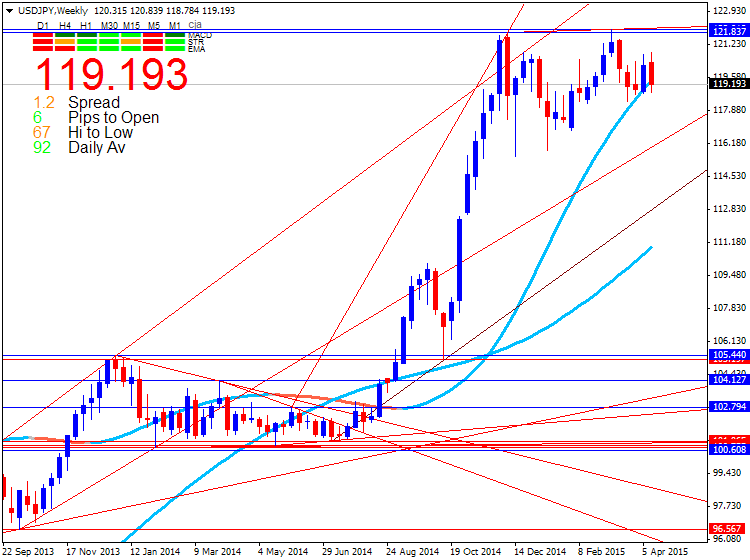 Most of G10 FX looks to be at an important technical juncture given where the US Dollar Index sits. However, USD/CAD is especially starting to standout. After trading to a new 6-year high last week, Funds reversed sharply after the FOMC leaving one of the widest daily ranges in years on the most turnover in years. From a technical standpoint that is a pretty clear red flag of a market in fatigue and prone to a deeper correction. When you factor in that the pair basically failed around the old January highs setting up a possible “double top” the picture gets even more potentially ominous. All that said, we have to say “potentially” because as bad as the chart looks the exchange has yet to do anything seriously wrong. A sequence of higher highs and higher lows defines an uptrend and so far USD/CAD has maintained that despite all the negatives we have mentioned. A break of the February lows around 1.2360 is needed to definitively change things and usher in the more negative regime we fear. A move back over 1.2610 is needed to alleviate some of the immediate downside pressure, but only a close back over 1.2715 would signal that the exchange rate is trying to resume the broader uptrend. The USD/CAD range continues. 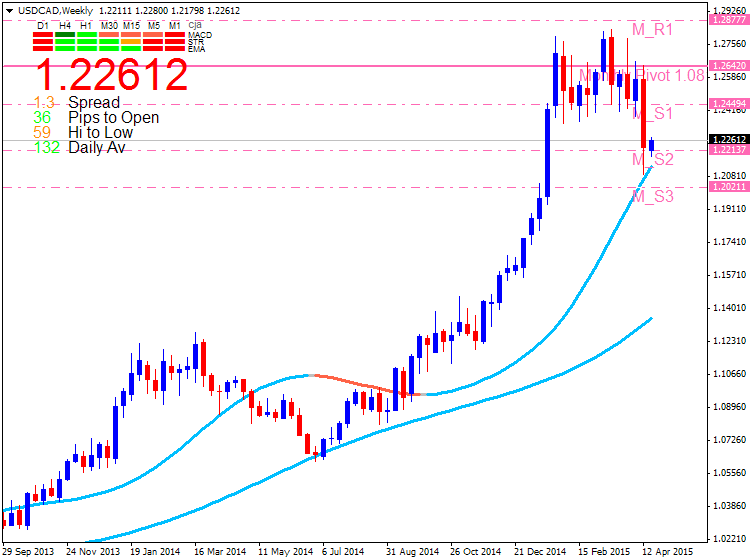 The exchange rate teased the market again yesterday as a break of the 1.2830-1.2350 range looked all but inevitable following the move below the trendline connecting the February lows around 1.2435. It clearly was not meant to be, however, as the pair reversed sharply from just above the February lows to trade back towards the middle of the range this morning. Our view on the rate remains generally the same as last week. The wide range reversal on some of the highest volume in years after the FOMC last month is a clear potential negative, but until or unless we convincingly break the range lows at 1.2350 there is really little reason to read too much into this situation and waste precious mental capital. A daily settlement over 1.2830 would obviously turn the outlook much more positive. 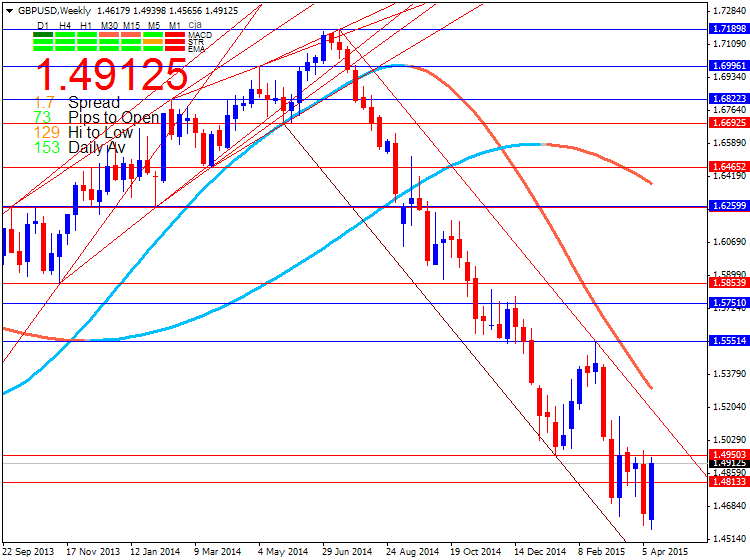 We have been suspicious of the action in USD/CAD since the dramatic reversal on the FOMC decision last month. It was one of the widest daily ranges in years on some of the highest volume in years. A textbook sign of exhaustion – especially after just seeking out a new high. Our fears were realized yesterday as the February lows were breached leading to another high volume liquidation. We can only assume that this decline has more to run given the clear potential overhang of “stale longs” after several weeks of range trade. Another interpretation of the price action is that a head & shoulders pattern has been triggered on the move through 1.2450. If this is the case, it could open the way for a move to 1.2000. We shall see. 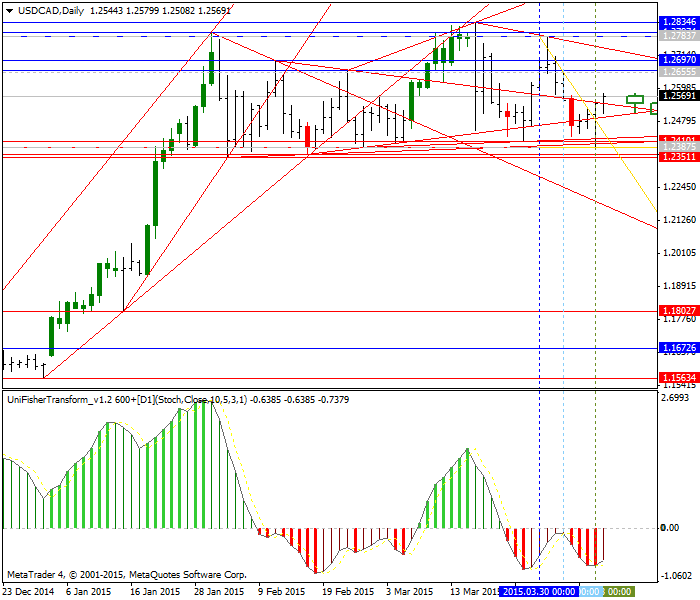 It is USD/CAD after all and a curve ball or two is the rule not the exception. Immediate resistance is seen at 1.2350 and 1.2450, but only a move over 1.2665 would turn the technical outlook positive. The US Dollar declined against its Canadian counterpart as expected having marked a top with bearish Dark Cloud Cover and Bearish Engulfing candlestick patterns as well as negative RSI divergence. Support is now at 1.2078, the 23.6% Fibonacci retracement, with a break below that exposing the 38.2% level at 1.1611. 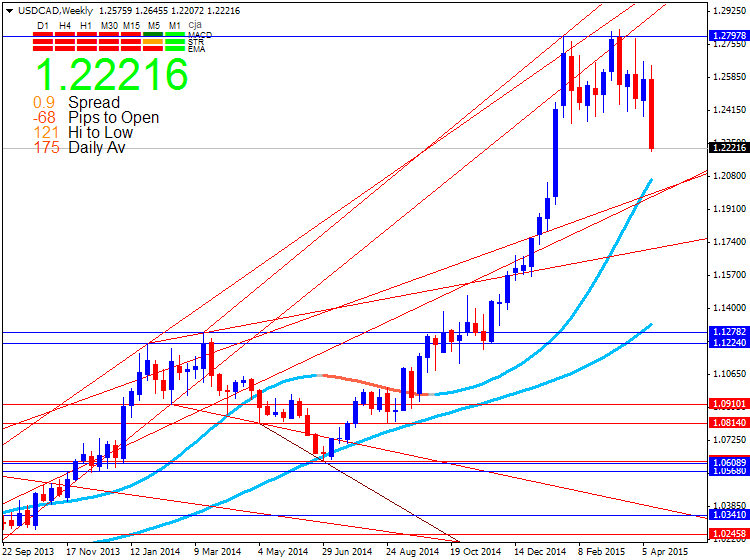 Alternatively, a turn back above the 14.6% Fib at 1.2366 targets the March swing high at 1.2834. 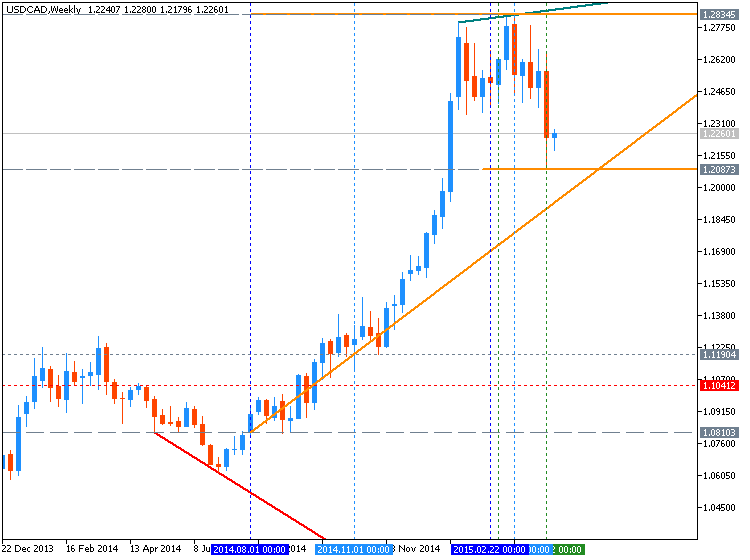 The overall USD/CAD trend continues to favor the upside. With that in mind, we will look to current weakness as an opportunity to establish a long position at more attractive levels once the downswing is exhausted. 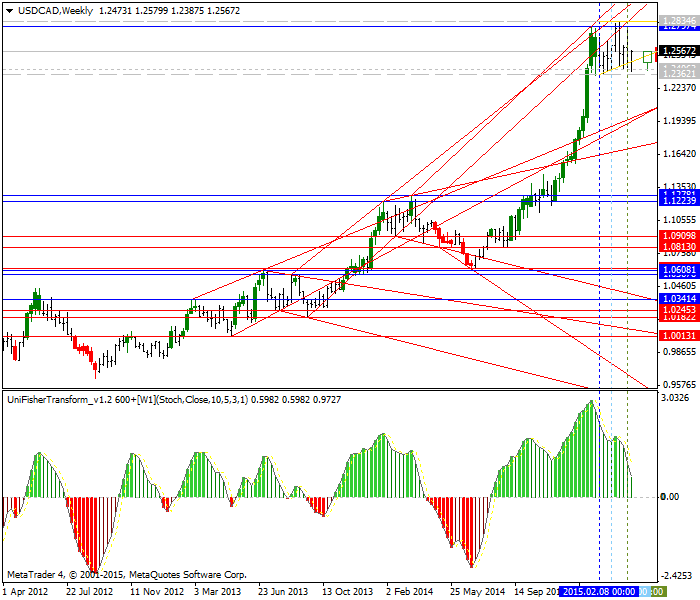 USD/CAD is currently in stagnation phase. I guess it's just for a while, but I prefer better opportunities to trade, so now I'll get a break.